We are provide a wide range of main drain, we are able to connect the various demands of our clients of various industries. Main drain is used for the pool basin items. 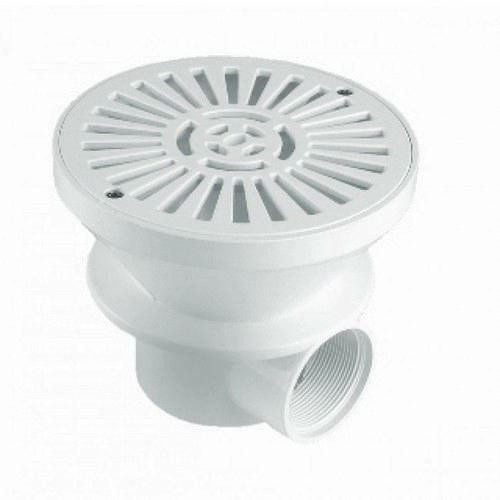 Our main drain material is ABS & PVC, and its color is white. We, Ashok Water Fountains from 2017 are manufacturing, wholesaling and retailing a high-quality Outdoor Fountain and Underwater Light. Offered products range consists of Swimming Pool, Outdoor Fountain, and Underwater Light. All products are designed using the latest technology under the direction of our domain experts at well-equipped infrastructure unit. This product range is highly required for their features like fine finishing, durability, easy to use, long life and lightweight. We have an experienced team of professionals, who put their efforts to meet the requirements of our clients. With the help of our latest technology based manufacturing unit, we are designing these high-quality products. Working by adopting ethical business policies has drafted the way for us to reach the pinnacle of success. Further, we provide various training sessions for our engineers to handle new technology that is used in production processes.